This 1 in lead free flow measurement valve monitors system flow in low to medium flow rate HVAC units, providing a highly accurate flow measurement. 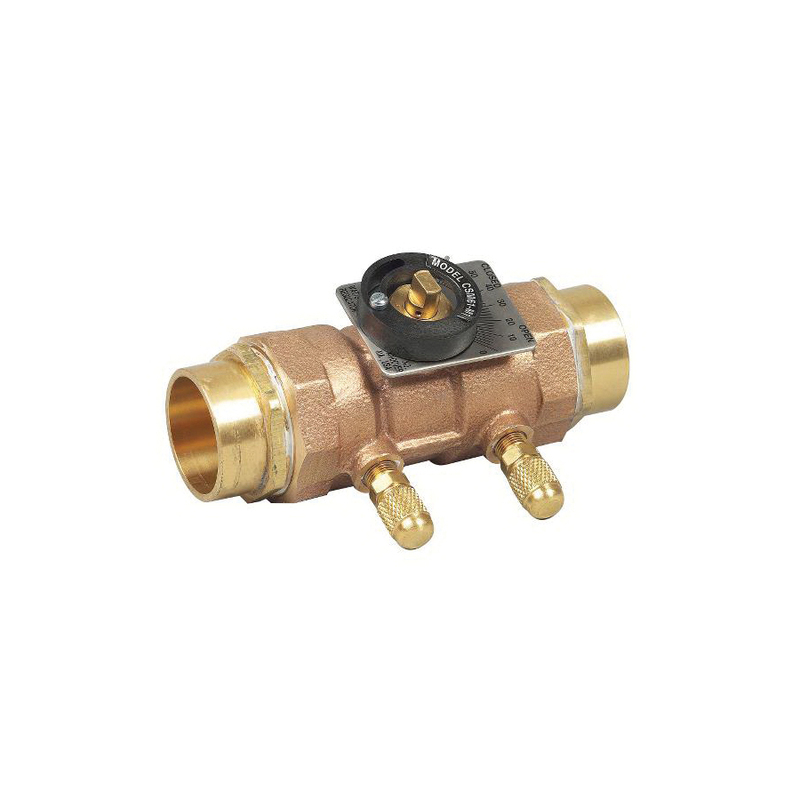 It consists of lead free body construction with bi-directional, positive shutoff ball valve design, blow-out proof stem, a position indicator, memory device, checked metering ports with drip caps, two pressure taps, integral drain ports and a drain plug. It has a compact size which allows for easy installation and access in a crowded piping environment and is ideal in hot/chilled water units such as fan coil units, water source heat pumps, unit heaters, unit ventilators, finned radiation and small domestic hot water lines.